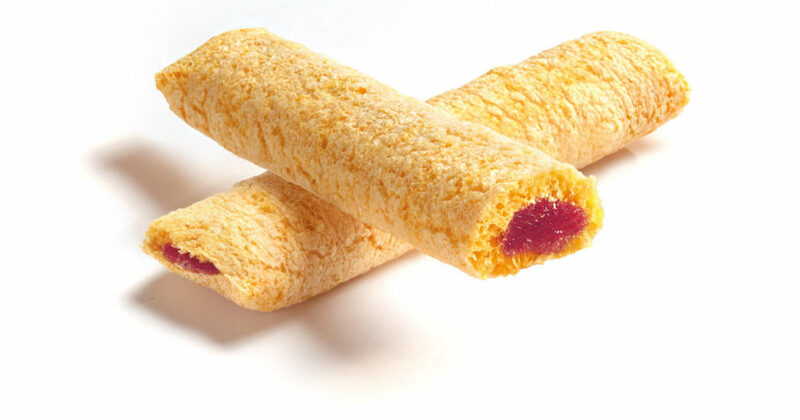 Among extruded foods, extruded snacks are one of the most popular product categories. Extrusion cooking used extensively used for the production of snacks, is a high-temperature, short-time process in which heat transfer, mass transfer, pressure changes and shear are used to produce effects like cooking, puffing, mixing, kneading and forming. This is the method used in the manufacture of pasta, RTE cereals and snacks. The product in question was a center-filled, extruded snack. The company got in touch with Food Buddies to look into the nuances and overcome the challenges so that they could create a great product. Due to the temperature variation in the production process, there occurred burning of raw material in the course of processing. The filling ingredients should be stable at room temperature. After a careful study of the challenges, Food Buddies came up with effectual solutions. We chose the right filling ingredients which could change phases at different temperatures. Optimization of the temperature and moisture ratio was ensured. The relative humidity was controlled and the same had to be maintained in the production area. Food Buddies successfully ensured the final product met high standards of quality, texture and taste. The consumer acceptance of the center-filled, extruded snacks was very high.